European Marine, LLC is an American Owned, Family-run business. Founded in 1995, our mission has been to keep your boat on the water! Our Family Staff are each factory trained to handle your watercraft needs. We are a Premier Level Dealer for the Full Line of Mercury Marine Products. This means that your boat or watercraft will be serviced with the latest, state-of-the-art tools, in a professional facility by Factory Trained & Certified Technicians! Business Hours: Monday-Friday, 9am to 5pm Eastern. 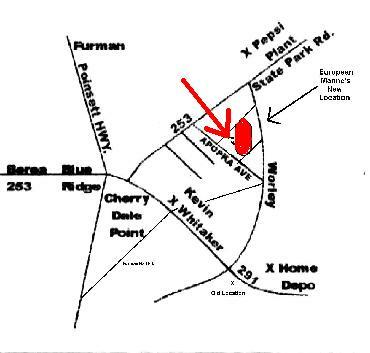 Address: 17 Apopka Ave, Greenville, SC 29609 (see map below).